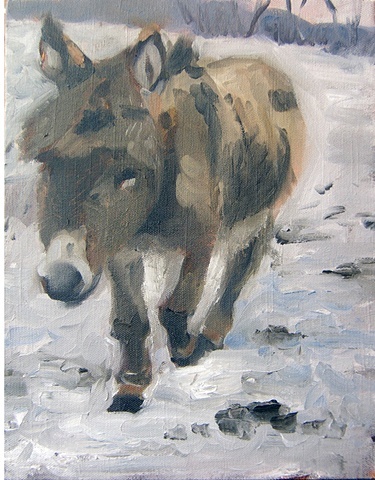 A young Donkey from Broken Heart Ranch, Bozeman, MT. It was winter and there was snow all around. It was the only donkey in with a herd of horses who were determined to protect their little friend and kept standing between me and the donkeylet.